HALO Bassinest Swivel Sleeper - The Mrs. & Co.
Well our sweet girl has been here for almost 2 weeks and to say we are in love is an understatement. 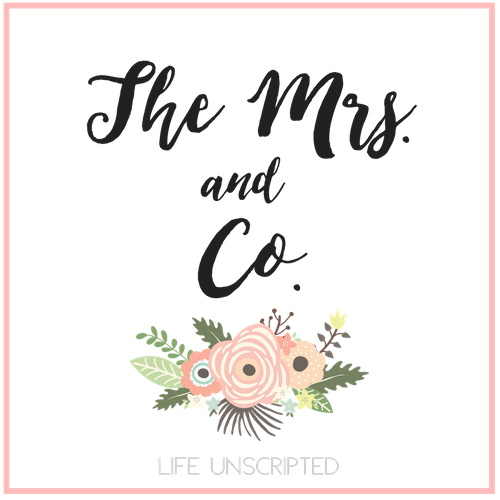 We are working on getting into a schedule and adjusting to our new life as mom and dad. We have Raegan sleeping in our room with us. Her nursery is upstairs and is just too far away from us right now. So we have a pack n play set up, but if I had to be honest, I wish we would have found this gem. The HALO Bassinest Swivel Sleeper. I am not a fan of co-sleeping (having the baby in the bed). The #1 reason is because Kyle is a sleep walker/talker and I honestly can't trust that he wouldn't do something. He feels the same way so it was an easy decision to decide for her to sleep in a pack n play. BUT this amazing new product allows baby to sleep close to you without actually being in the bed with you. The bed swivels 360 degrees to bring baby close for safe sleep. The sides easily go down to allow easy tending to the baby. Includes nightlight, 3 lullabies, 3 nature and womb sounds, 2 levels of vibration and nursing timer with auto shut off. 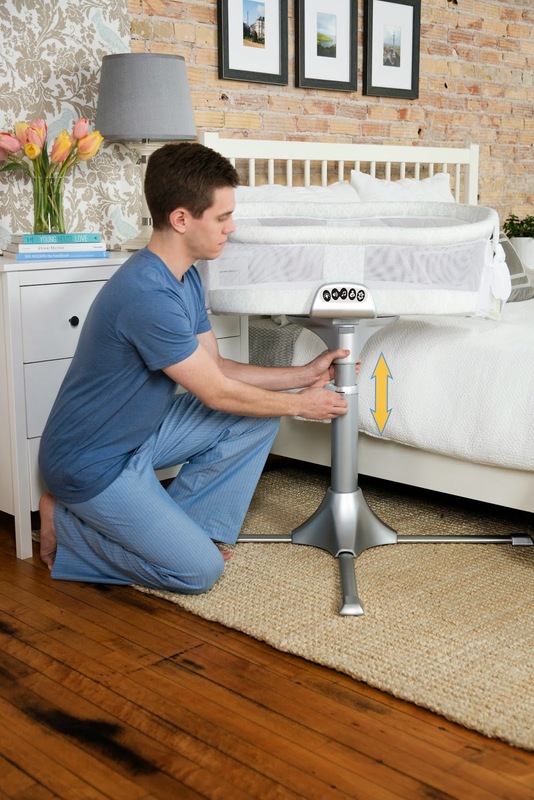 The bassinest scoots right up under the base of your bed so you can have baby as close to you as you want. Make sure you check out the Bassinest in action. After watching the video I was completely hooked and wanted one of these babies RIGHT away! Would you like a chance to win a HALO Bassinest for you and baby? Head over to their website and get entered. Click HERE to go enter! 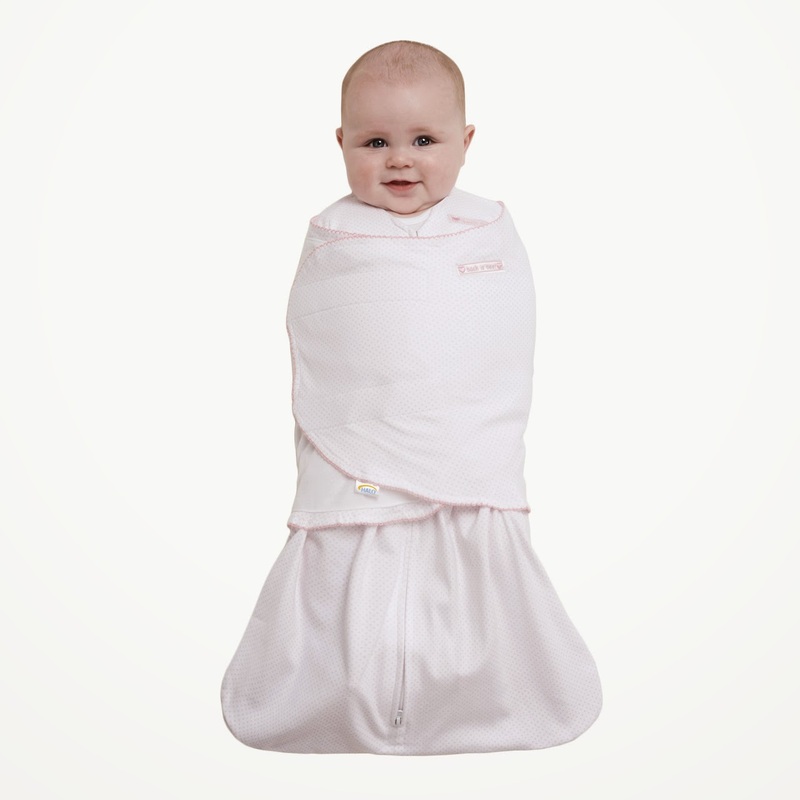 Not only is HALO giving away a Bassinest, they have given me a HALO sleepsack to giveaway to one of my lucky readers! These babies are the best! Raegan has one and I absolutely love it! She feels tight and secure and it really helps her sleep at night! The giveaway will last for 1 week so make sure you get entered! I can promise you that I am crossing my fingers to win the HALO Bassinest for our 2nd baby, and if we don't win one, I will definitely be investing in one! Be on the look out for Raegan's birth story on the blog in the next few days!! Wow that halo bassinet looks accommodating. That bassinet looks awesome! We are doing the pack n play too, but good to know this little gem is out there...maybe for next baby God willing! Oh, and Raegan is absolutely adorable by the way! She looks so happy and healthy! I am sure that information from this source will be useful for you. Especially if you are going to make your career choice soon.